Our wide range of innovative axle-jacks covers all of today’s commercial and military aircraft. The consistent modularity allows them to be configured to your specific requirements. Safety and “Made in Germany” quality have the highest priority. That’s why our axle-jacks, regardless of the capacity, are designed for outstanding robustness. Every product is tested with 10% side load capability and 150% proof load. 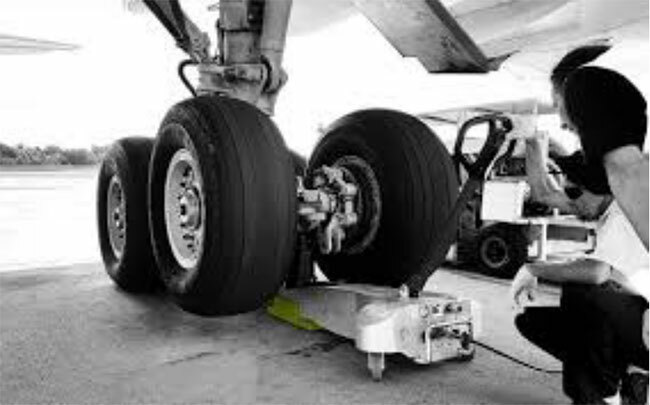 Even in harsh environmental conditions, our axle-jacks perform their maintenance service on aircraft tires, wheels and brakes.